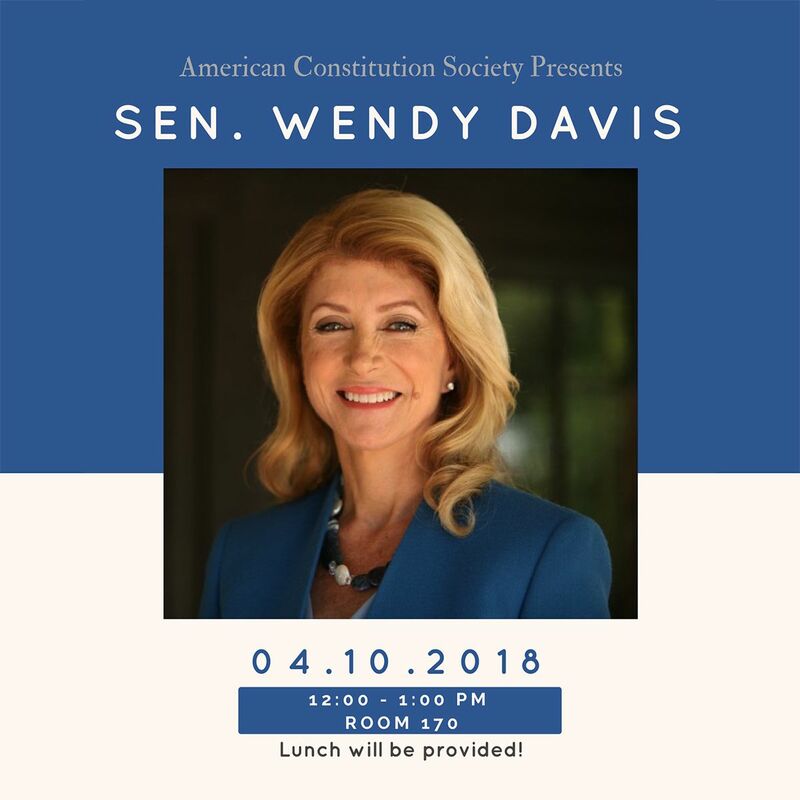 Join ACS in welcoming Texas Sen. Wendy Davis for a lunchtime talk on April 10th! “Raised by a single mother with a ninth-grade education, Davis began working after school at age fourteen to contribute to the family finances. By the time she was nineteen, she was living in a trailer park with a baby daughter and holding down two jobs. But rather than succumb to the cycle of poverty that threatened to overwhelm her, Davis managed to attend community college and Texas Christian University, graduate from Harvard Law School, and go on to serve nine years on the Fort Worth City Council. She set her sights on the Texas state senate—and in 2008 defeated a longtime GOP incumbent in a race widely considered one of the biggest recent upsets in Texas politics. But it wasn’t until June 2013 that the rest of America was acquainted with the spirited Texas state senator. Davis became an overnight political sensation and a hero to women’s rights supporters across the country when she single-handedly filibustered Governor Rick Perry’s sweeping bill that aimed to close all but five abortion clinics in her state. During her historic nearly thirteen hours on the floor of the state legislature, Davis wasn’t allowed to eat, drink, sit, use the bathroom, speak off topic, or lean against any furniture. When it was over, President Obama tweeted support to his millions of Twitter followers, and Wendy Davis—with her pink sneakers—was suddenly a household name.